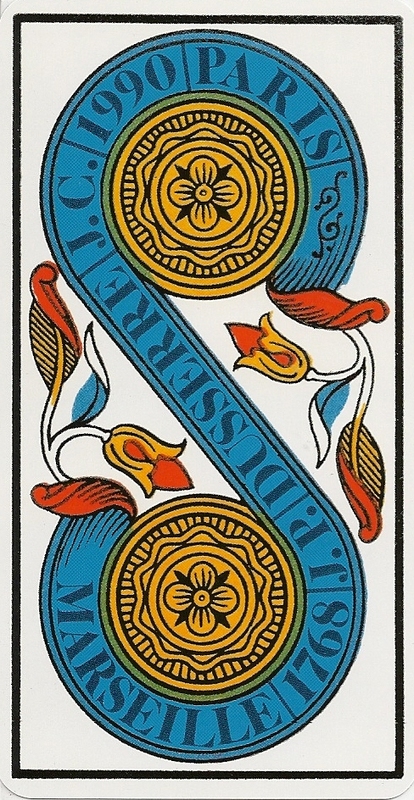 This is an exact photoreproduction (except that the 2 of Coins has Dusserre written on it instead of Grimaud) of the Paul Marteau Deck from 1930, which is part of the collection of the French Biblioteque Nationale. 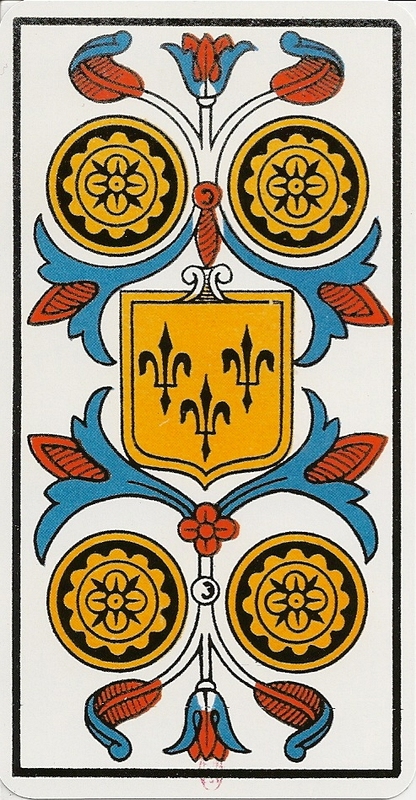 It has the fleurs-de-lys on the four of coins (not the tulip as later the editions by Grimaud) and on the magicans table are no dice but only coins. 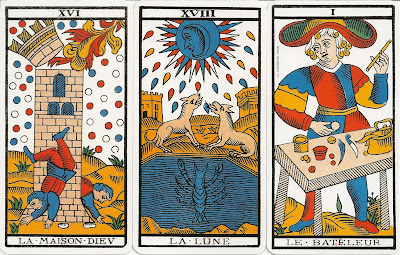 The cards have the red stamp of the Bibliothéque national at the bottom. The cardboard used is thinner and the colors are lighter than in the Grimaud edition.